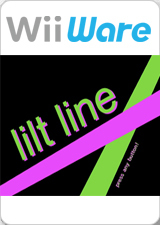 Lilt line is an award winning rhythm racing game with a dubstep soundtrack and visual aesthetic that will confound your senses and rock your soul. This title uses Wii Remote tilts for controls and requires a real Wii Remote or an Emulated Wii Remote with the Tilt controls configured. The display may appear half black or shake if XFB is not set to Real. Accounted for with Hybrid XFB in 5.0-5874. The graph below charts the compatibility with Lilt line since Dolphin's 2.0 release, listing revisions only where a compatibility change occurred. This page was last edited on 1 August 2018, at 06:44.